There’s one thing I like about the second series of each new Doctor – and that’s the business of making the character their own. Somehow, the first appearance isn’t enough. 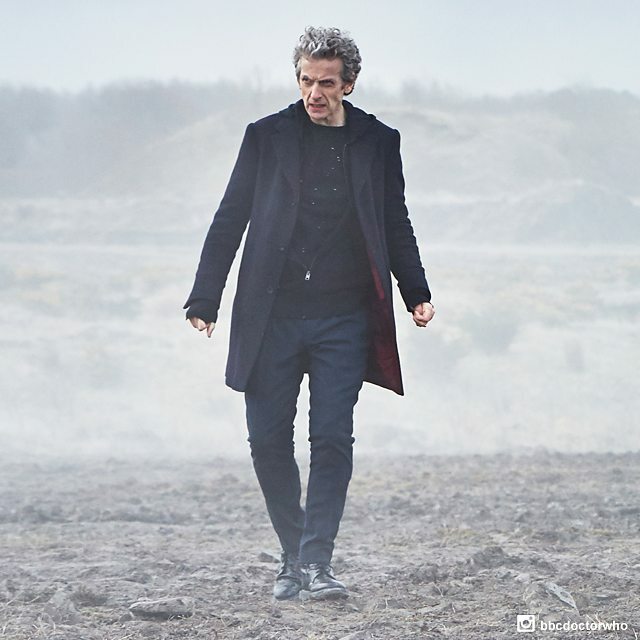 From the scant pictures we’ve had of Peter Capaldi so far, it seems like he has more of a personalised image. I especially like what I’ve seen of his hair. It seems to be growing, bigger and wilder. That works for me. The mop of hair thing worked big time for Tom Baker – but that isn’t exactly what we’re doing here. This is all Capaldi’s own thing. I also like the continued sense of channelling Pertwee’s red-lined jacket. I really like that. Maybe there’s a touch of the Third Doctor in the hair. Maybe. This entry was posted in Twelfth Doctor and tagged Doctor Who, Peter Capaldi, September 19 on August 11, 2015 by Paul B.